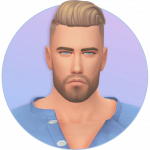 Sul Sul, I know there are many who don't like The Supernatural or Fantasy aspects of The Sims, but y'all can literally stay in your lane and return to the previous page. Anyway, here we go. After so long I think The Supernatural Players deserves their fair share of content. After many have been richly blessed with their Laundry, Toddler and Fitness stuff, it's about time Supernatural Players got what they've been yearning for. It's been several years since the game's launch and all we've had were vampires. Even if other packs must be released before we can have the Supernatural I think we deserve a sprinkling of fantasy content. UNIVERSITY EXPANSION RELEASING? COOL, ADD A GENIE LAMP FOR WISHING FOR GRADES OR SOMETHING. BEACH RESORT PACK COMING? SWEET, REINTRODUCE MERMAIDS AND ENDOW THEM WITH MYSTICAL SKILLS. FARMING PACK SOON? 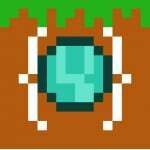 E-I-E-I-ON'T FORGET TO THROW IN SOMETHING LIKE A CRYSTAL BALL OR CAULDRON FOR SPELL CASTING. I know the pattern is well illustrated here. But anyway, what are some of your thoughts on supernatural/fantasy content/objects that can be implemented in upcoming packs, just to feel the love that we Supernatural and Fantasy players have not been forgotten once again? I feel like supernaturals players could use something a little more than a bone. Cause like you said its been quite awhile since Vampires and alot of people really want witches in the game. Vampires was solid pack with nice mechanics, made Vampires interesting (loved the break in mechanic shame its so rare now) and not just human mosquitoes. Hoping we get a Witches pack with similar or higher quality, they could do alot of stuff with one, like a Wonderful wizard of Oz type of world with a bright and cheery side and a dark sinister side. But sadly I feel like supernaturals might get canned in favor of University and some other family oriented pack. Hey there I went ahead and moved this to the Idea corner as the forum ideas and feedback section is really just for ideas for the forum. Feel free to continue your discussion! 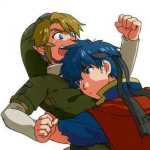 @Vampris People want more family-oriented packs? There's Parenthood, Kids' Room Stuff, Toddler Stuff... and two different after school activities have come out with the last two expansion packs. Of course, I always age kids up pretty quickly, so my judgment as what's "enough family stuff" might be way off. I'm also a Supernatural player and we definitely have been neglected since Vampires came out 2 years ago! 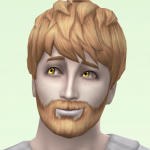 I have turned some of my sims back in sims 3 as werepire hybrid, it was cool seeing pale skinned hairy sims during the full moon, i wish the next pack is a werewolf and have an ability to make hybrid supernatural, with universal form not locked to specific occult type. That's like saying people want more supernaturals? They added ghost aliens vampires a living scarecrow in Seasons skeletons in Jungle Adventures and monsters under the bed. When its the content you love you always want more and I'd say both family play and those looking for supernatural content need more. To be fair the skeleton and scarecrow are more or less NPCs (and can't really do anything unique), and the monster under the bed isn't even that. Not to mention they were small add ons and where not the central focus of their respective packs. Aliens, ghosts, and vampires are all several years old now, and of the three vampires are really the only fleshed out supernatural. 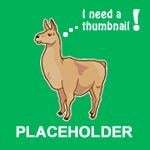 Everyone thinks their preferences are the most important and should come first, but the truth is there are a variety of players all looking for something different and the sims team can only make so much content at once. I would love to see some more supernaturals come to the game, but more family content would also be fun and be appreciated. At this point I'll take what I can get. Yeah especially since it's the only reason you're playing. On one hand The Big life States should have their own focused Packs, Daemons (Vampires), Sorcerers (Witches Powered up), Werewolves. We have daemons, That just leaves, for me, Sorcerers and Werewolves. I think I wrote enough times that I don't have to repeat myself, I'll let you guys do the work and go looking. But everything I put out there I took into consideration and reflected on Vampires, and I think it's doable. it's not at all "too much content" for a GP. for Sorcerers: The Life State, and Magic & Magical objects in build, buy, and clothing, Should be the prime focus. If there's enough room for a world, then fine. but I don't want to find out they sacrificed a awesome spells, for the world. Werewolves, I think the focus should be on the detail of their biological features, their powers, and their/our struggle to master the shift. again should there be enough room for a small but very detailed world. Then do it. However They definitely shouldn't just shove it in because it "Fits the theme of a Pack"
While i want more occults for TS4 already. I think adding fantasy stuff as side features to future packs is not worth it (specially not Occults). We have seen what is the result in Get to work (which added aliens). They will be never as fleshed out as they would be in a dedicated pack (like Vampires). 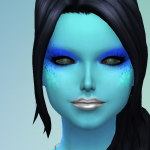 Personally, i want Mermaids to be a side feature of a Tropical pack but then again i don't care about them much and there are surely people who want mermaids as fleshed out as vampires. I'd like witches in a specialised gamepack. @ChadSims2 Yeah, I kinda realized that as I was typing it, which was why I said my judgment is probably off. Sure hope I didn't sound like I was bashing anyone's taste. More surprise than anything else, as I figured there was more demand for things like University and cars than there was for more family stuff. And for all my complaints about how toddlers drive me nuts, Toddler Stuff was still one of the first packs I bought, because it's adorable. I also keep associating Parenthood with its console release date, not its PC one, which keeps making it feel newer to me than it really is. A beach-themed pack could make both sides happy. New family vacation destination and oh, look--mermaids! I agree I think supernaturals get better developed when they have a pack to themselves, but I've had plenty of fun with the aliens, too. Yes, please..... I honestly don't give a heck about university and farming, it sounds very plain and boring, especially when there won't be many supernatural elements to it. 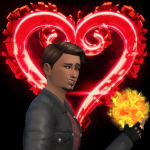 Like, sure, it could be neat to have and all, but bring me more life states; Sims 3 and 2 both had PLENTY. It's a big part of why I liked it so much. I got a new life state in every expansion, they were kind of what got me to buy the packs in the first place. It has been two years since we got vampires. We've been waiting for TWO YEARS for more stuff like this. The vamps are great and I want more like that!! I like the aliens too, but I wish they were just as fleshed out as the vamps, and had their own inhabitable world.. I want to be able to live on Sixam too. I still can't believe there are some super boring people out there claiming Sixam is "ugly". No, it's beautiful. So is Forgotten Hollow. I would like to see a GP dedicated to witches and wizards. I would also like to see a scarier werewolf. It's not a big dog. Vampires was released in Jan. 2017, it's two years later and nothing else supernatural. And go ahead and throw in a lot of grunge and delapidated building materials like siding, broken, caved in roof, rusty, paint peeling walls, and trims, posts, broken windows, boarded up windows, because zombies don't live in high rises. Goblins don't hang out at the ritzy country club, and wizards don't care about money or fine living. Lol, that's one thing I did dislike about the vampires pack - all the used and abused stuff. But I agree, definitely give me some more supernaturals already! This is kind of getting ridiculous. Witches, werewolves, zombies, fix the plantsims...and I'd be happy. The rest would just be icing to me. I'd prefer them in their own packs, but the plantsims could be fixed at any point really. @SinaMegapolis This is unfortunately a problem exclusive to the Sims 4. In the Sims 2 and 3, fully fleshed out and realized Supernaturals were released with nearly every expansion pack (the Mummy and Genie being the only ones I don't believe were that thrilling), and they weren't watered down or muted. I was much happier to spend $40-50 on the expansions in TS2 and TS3 simply because of the sheer amount of content, but in TS4, that same price tag doesn't get you nearly the same amount of content unless you're purchasing it as a part of a create-a-bundle. Cause I would love if expansions for this game gave us fleshed out supernatural states, considering a lot of the "core" expansion pack content tends to be limited in scope to simply a new neighborhood with some gameplay additions. That said, I think University could be a REALLY fun place to throw in Witches, if they could make both aspects be fully realized in the same expansion. You could have access to normal colleges, but also a magic academy, and I think it's a pairing that the Sims hasn't tapped into yet, considering the massive popularity of Harry Potter and other magical academy shows and anime. 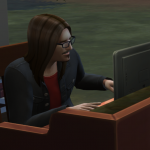 > @SinaMegapolis This is unfortunately a problem exclusive to the Sims 4. 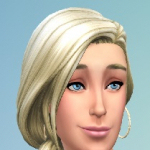 In the Sims 2 and 3, fully fleshed out and realized Supernaturals were released with nearly every expansion pack (the Mummy and Genie being the only ones I don't believe were that thrilling), and they weren't watered down or muted. I was much happier to spend $40-50 on the expansions in TS2 and TS3 simply because of the sheer amount of content, but in TS4, that same price tag doesn't get you nearly the same amount of content unless you're purchasing it as a part of a create-a-bundle. Cause I would love if expansions for this game gave us fleshed out supernatural states, considering a lot of the "core" expansion pack content tends to be limited in scope to simply a new neighborhood with some gameplay additions. > That said, I think University could be a REALLY fun place to throw in Witches, if they could make both aspects be fully realized in the same expansion. You could have access to normal colleges, but also a magic academy, and I think it's a pairing that the Sims hasn't tapped into yet, considering the massive popularity of Harry Potter and other magical academy shows and anime. I don't think that is going to happen. First of all, University and Occults had were next to not related in older sims games (considering the Paranormal degree in TS2 Uni aside) and EAxis is not one to make a pack based on a popular media (because it would upset a lot of people who don't like that). 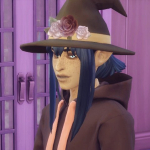 I think that the sims team has to either 1) Continue making GPs for some of the most requested Occults like witches, fairies and werewolves and then add the rest as side features in future EPs OR 2) Make a Supernaturals EP including 5-6 Occults, where at least 3 of them have their own Powers/Weaknesses tree. Be very upset, question why they would refuse to add more when occults and magic were always a part of the game (before weather, laundry, toddlers, etc) and were suddenly ignored for no good reason. The Thing is They need to draw from other sources of media it can't just be Harry Potter being the prime source. That's why I'm against the "Magic University" concept. Sure there's learning involved, but I don't want an obligation of going to this School to Learn magic. 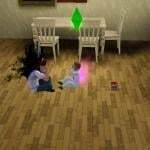 Not when I have my Sim's mother who will raise him in a Household with magic, and two Grandparents, one of which is Merlin's equal, if not more powerful. The only way I can tolerate it, is if the World of which the University resides in is customizable world, not a hidden world. Should the setting be a Good fit for my needs, I would like to Place my Grandfather's Chateau and create a village around it, so essentially there can be no, maybe a few, "Special Lots" the school venue lot type should able to be changed to Residential. If the pack ends up like Get to work where the school is like a hospital, police station or Science labs, I'll be furious. even still, I don't have to play with that part, but that's also half of the pack's content. Then for the love of all why did they do some gameplay features as separate packs (Dine out, Bowling Night, Romantic Garden etc) if they knew they wouldn't have enough time and budget for more occults in the future? Making new content should be always prioritized against separating content from packs as dedicated packs.